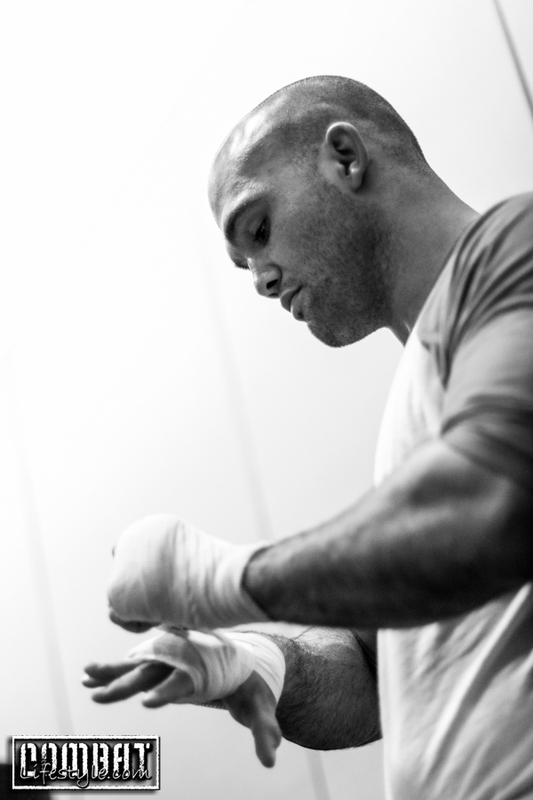 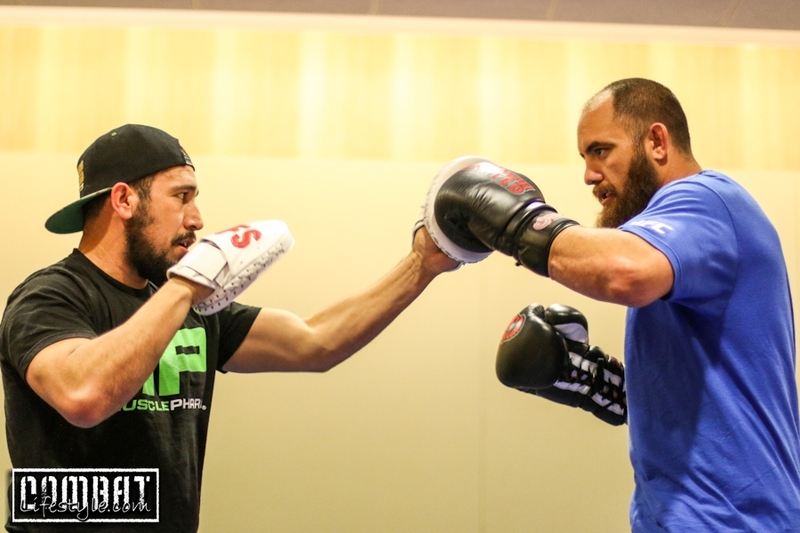 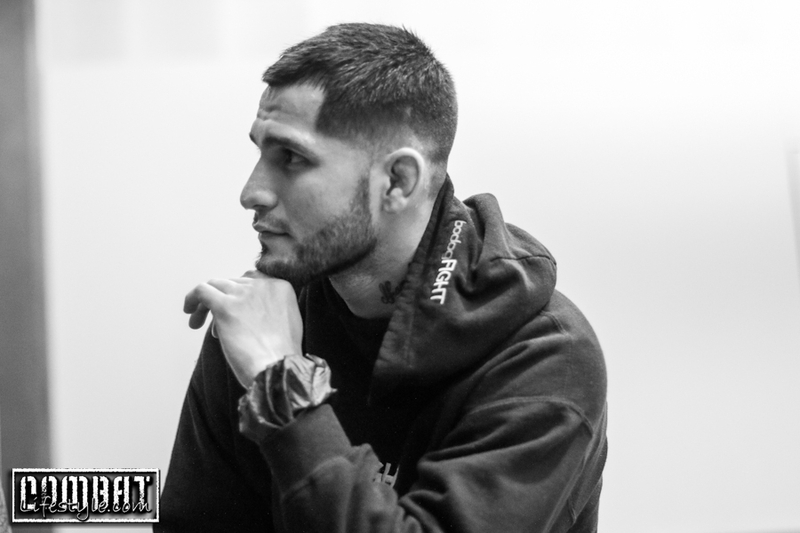 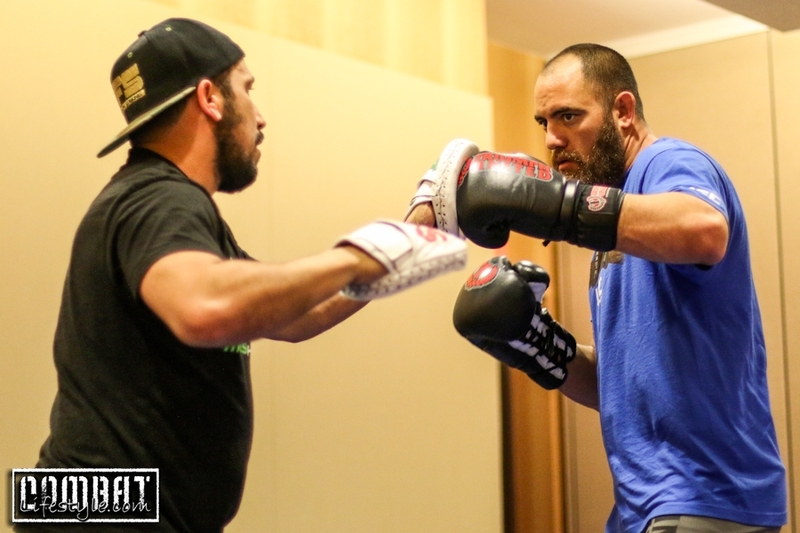 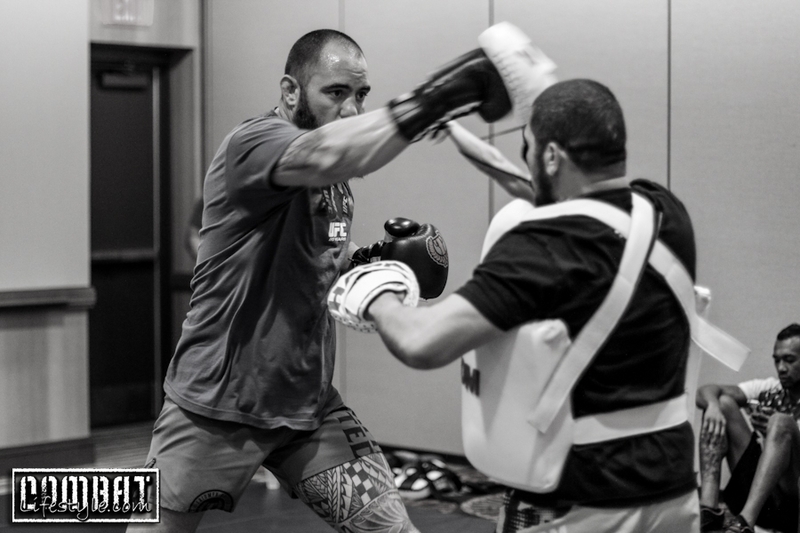 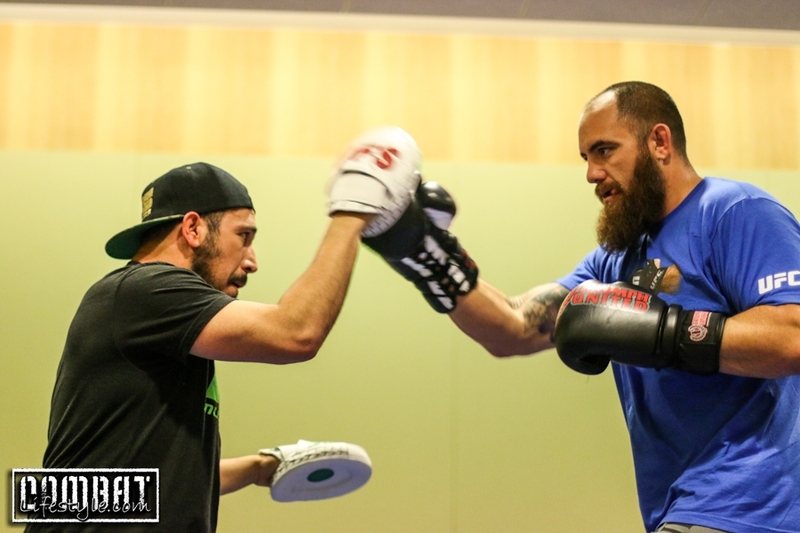 Home / Blog / Travis Browne Hits Hard And Other Stories From Fight Week! 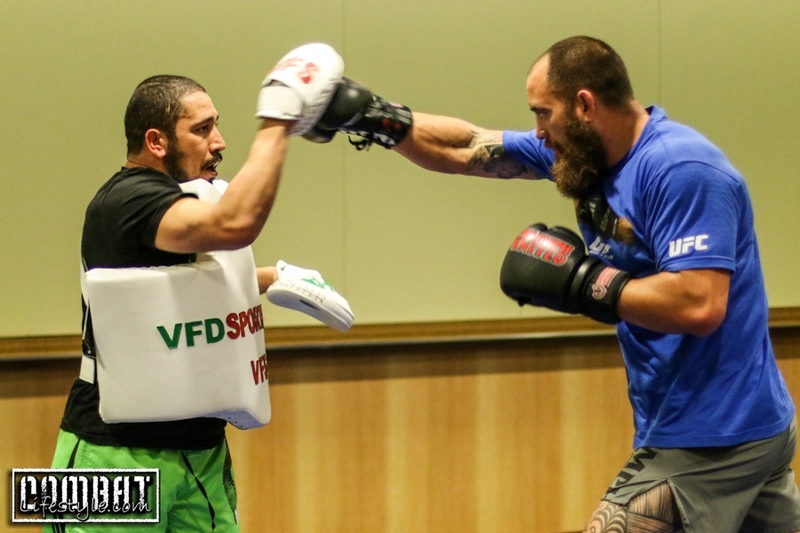 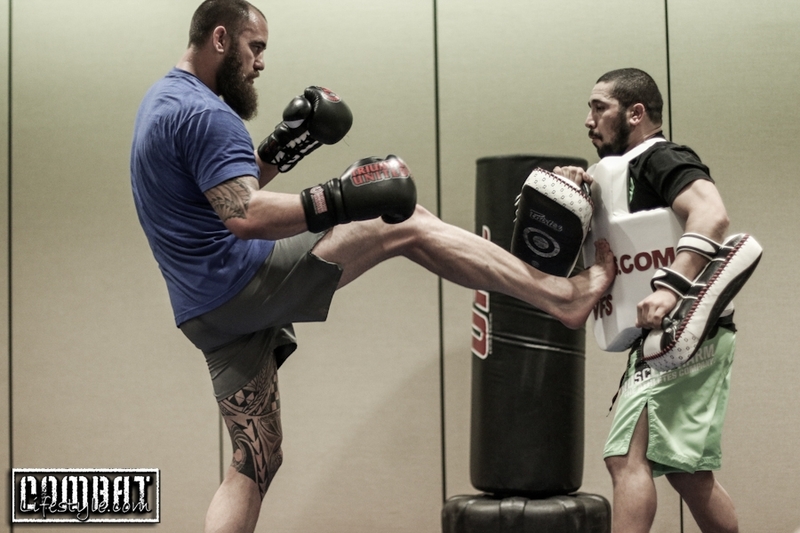 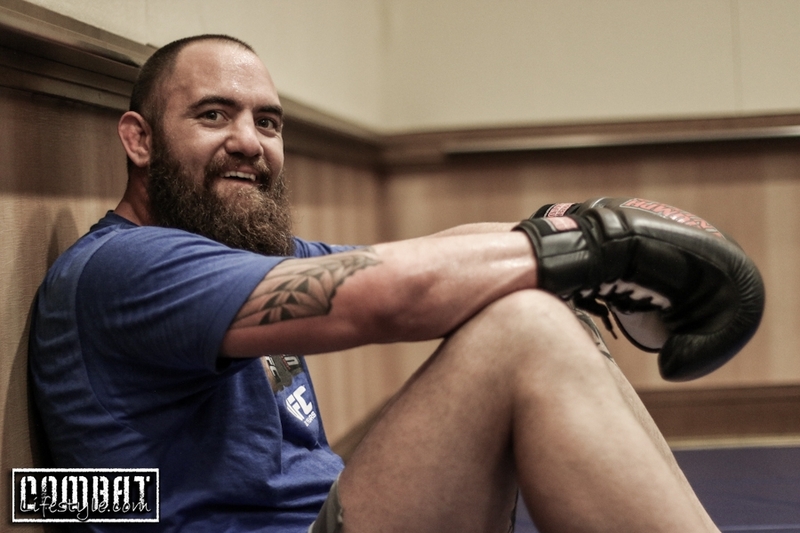 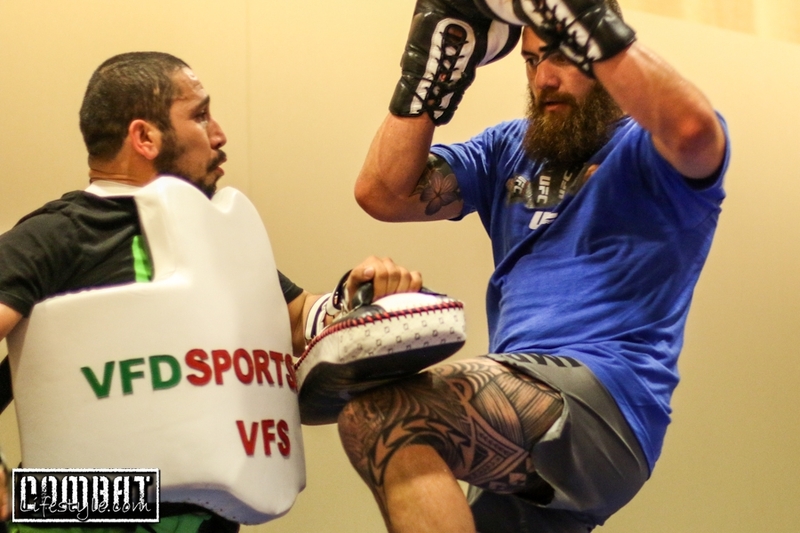 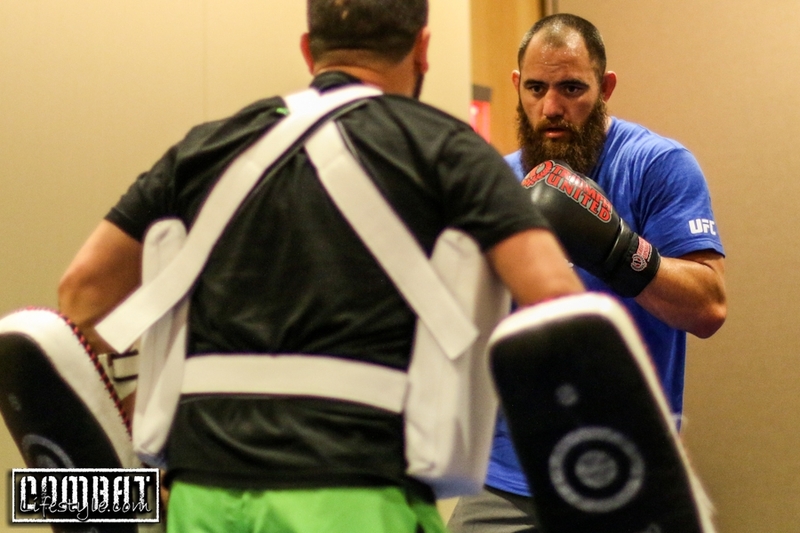 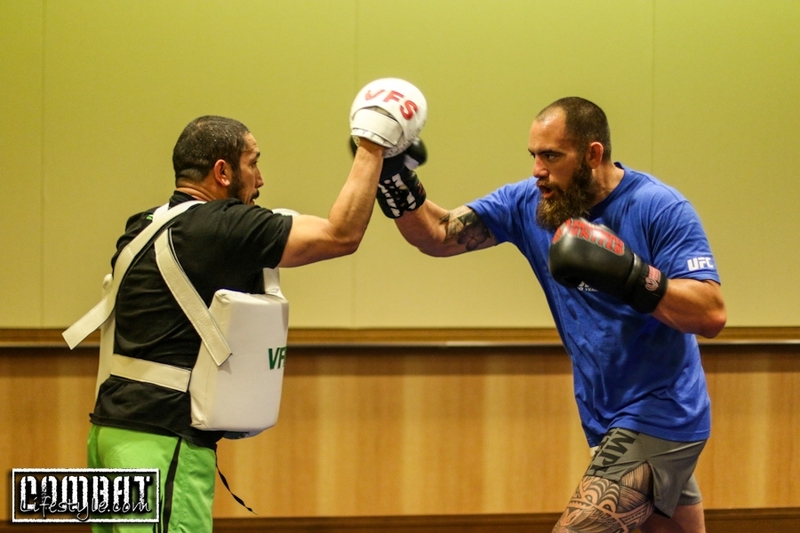 Travis Browne Hits Hard And Other Stories From Fight Week! 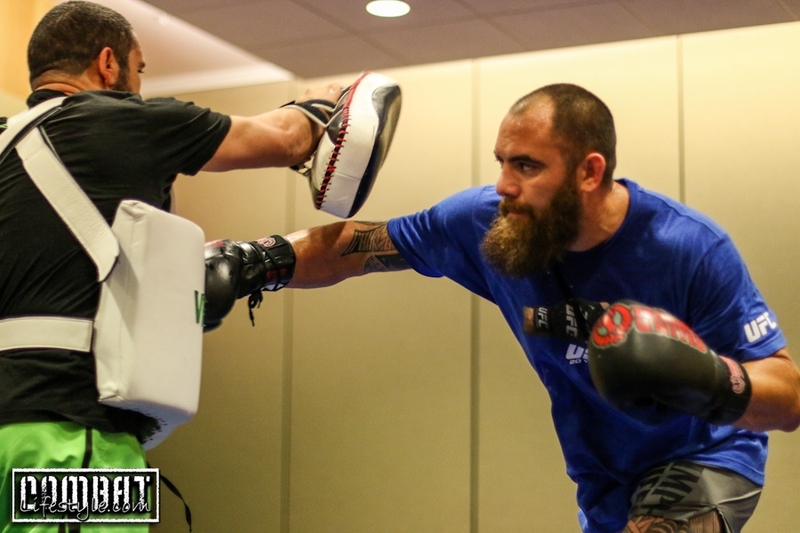 Travis Browne Hits Hard And Other Stories From Fight Week! 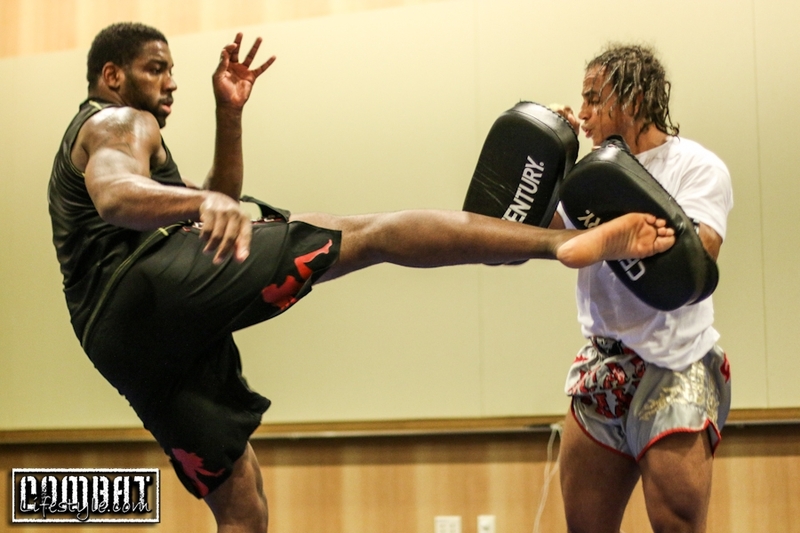 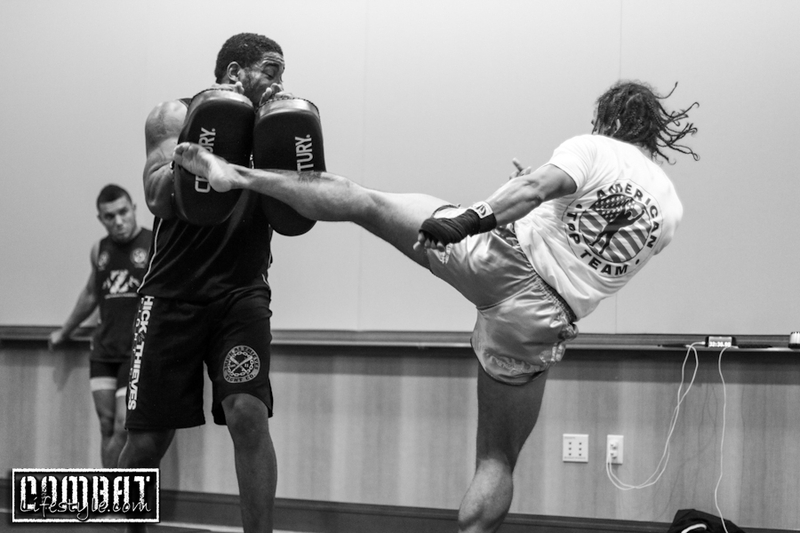 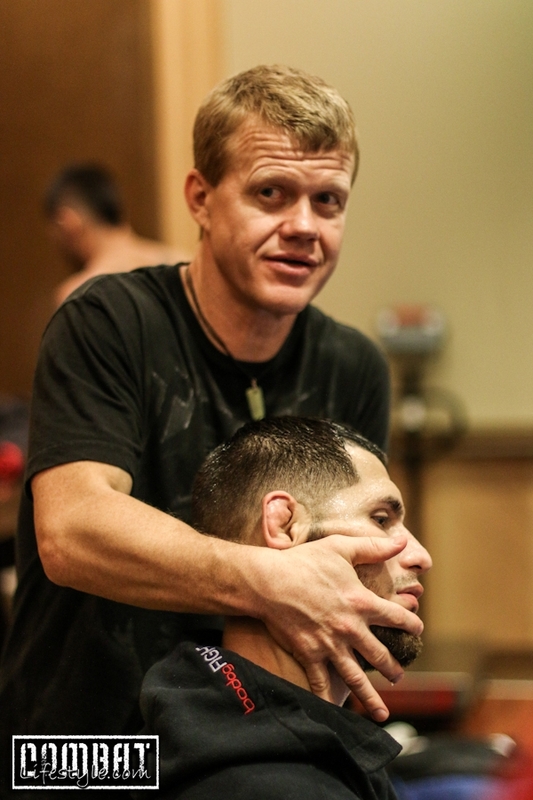 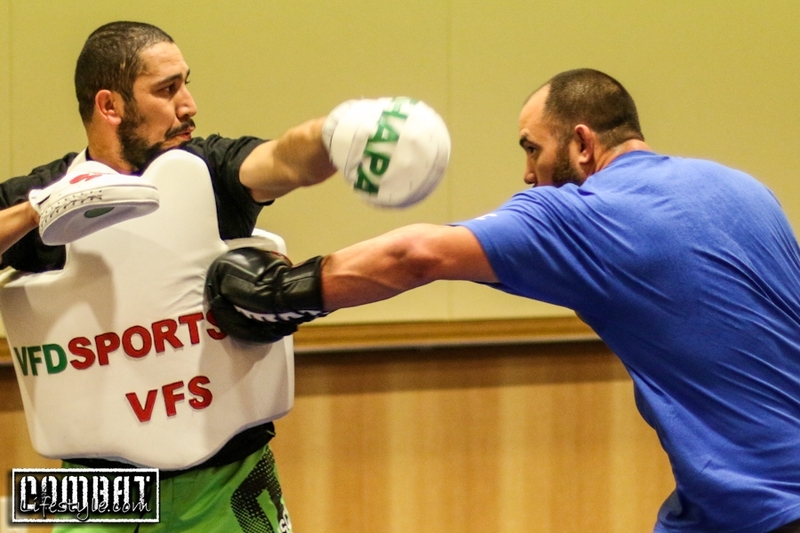 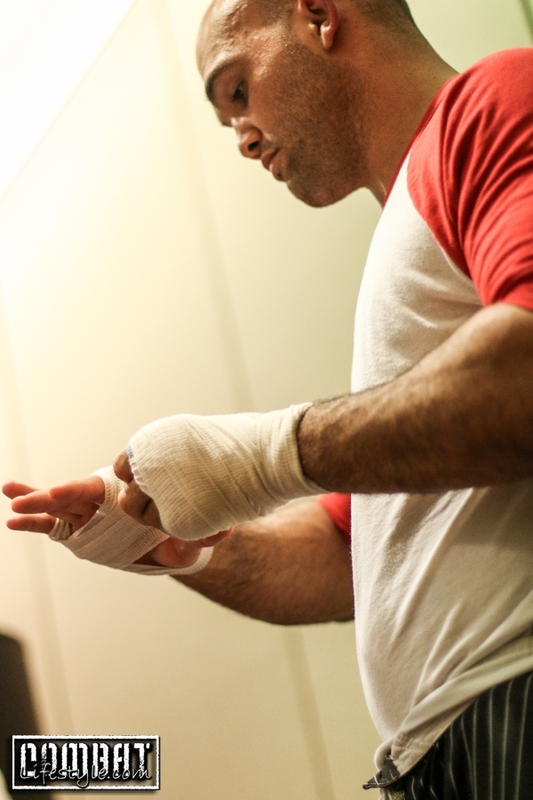 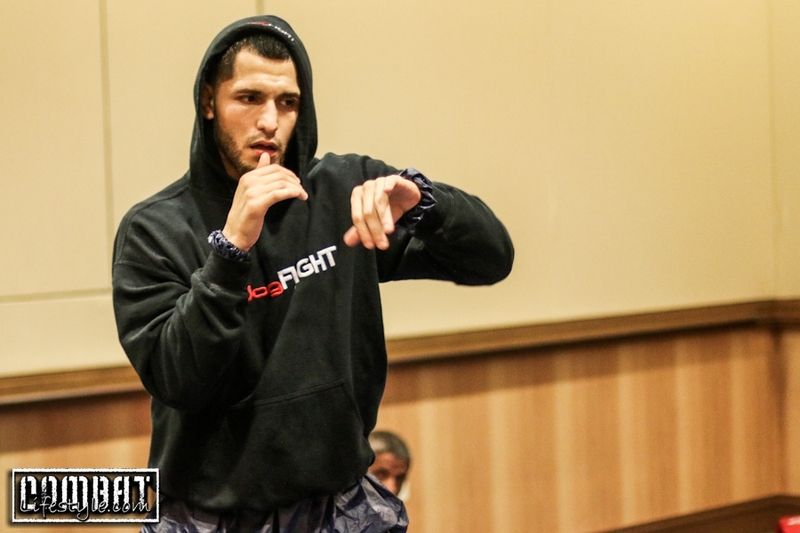 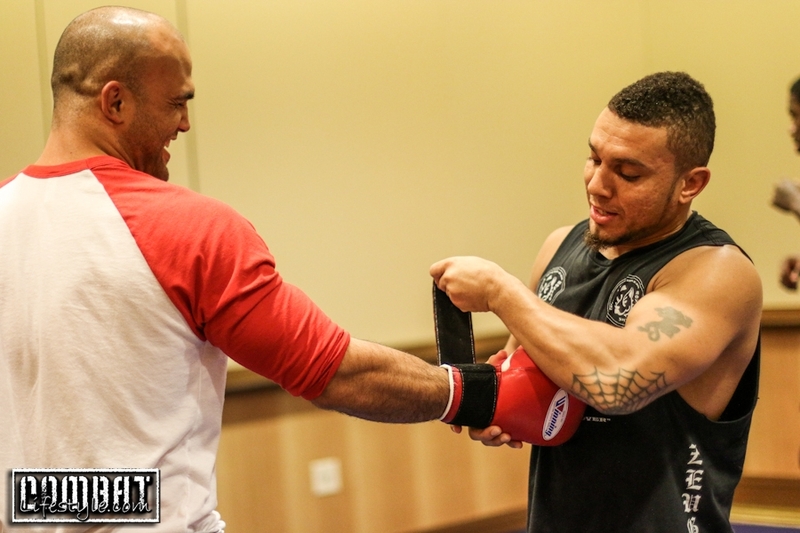 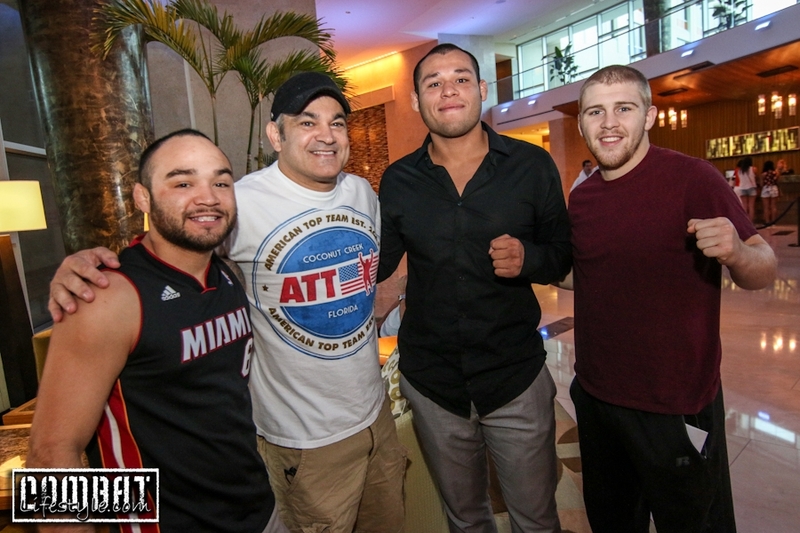 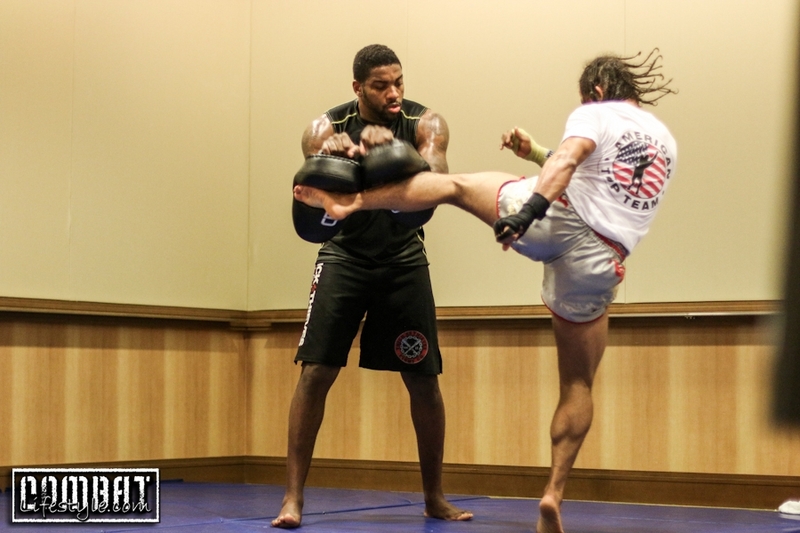 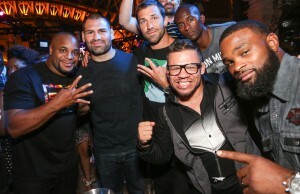 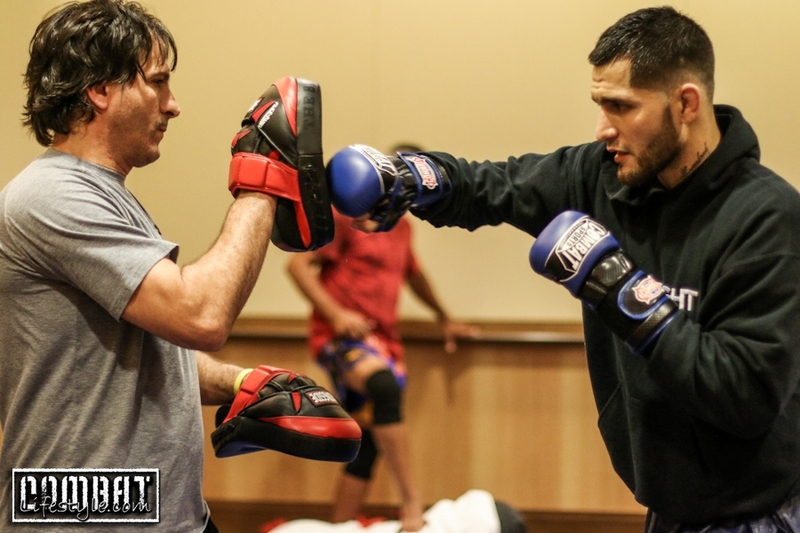 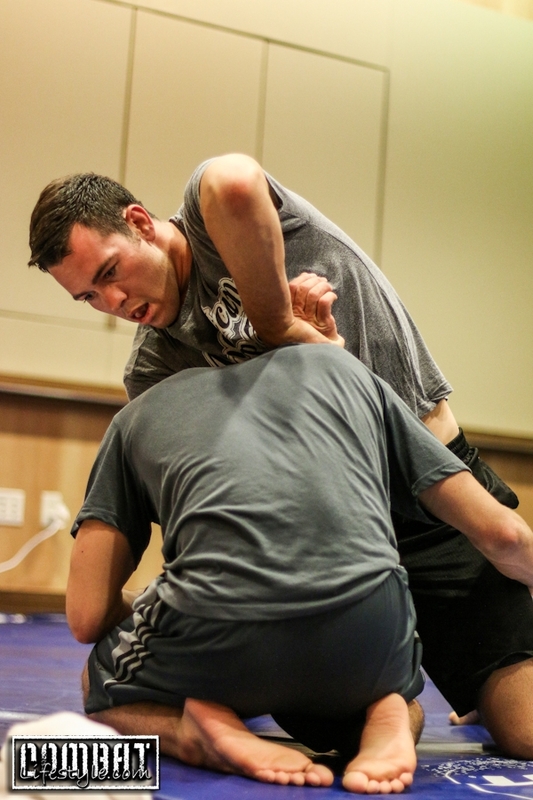 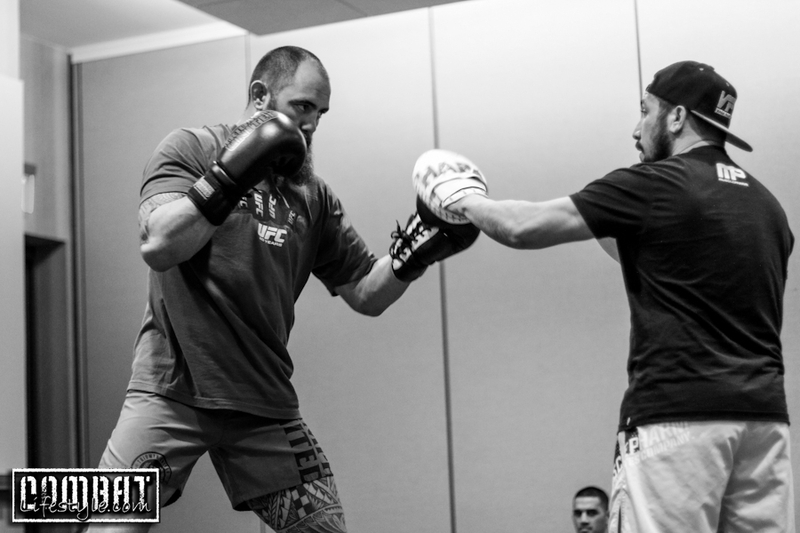 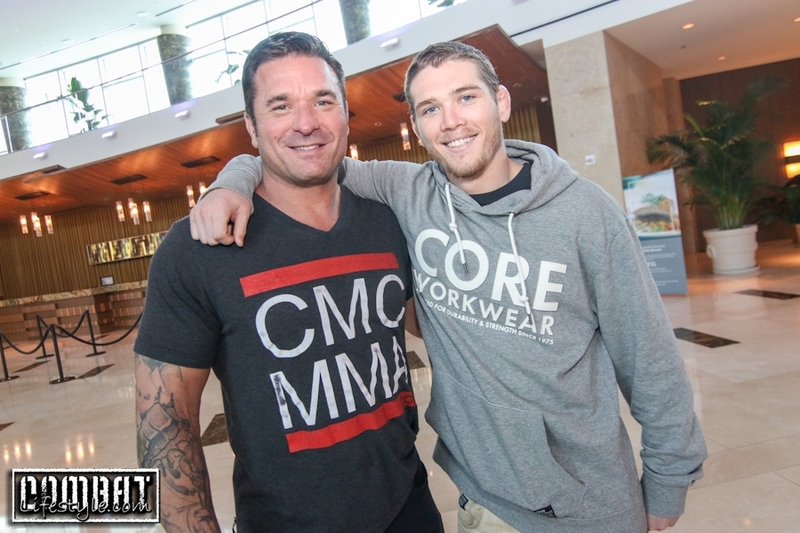 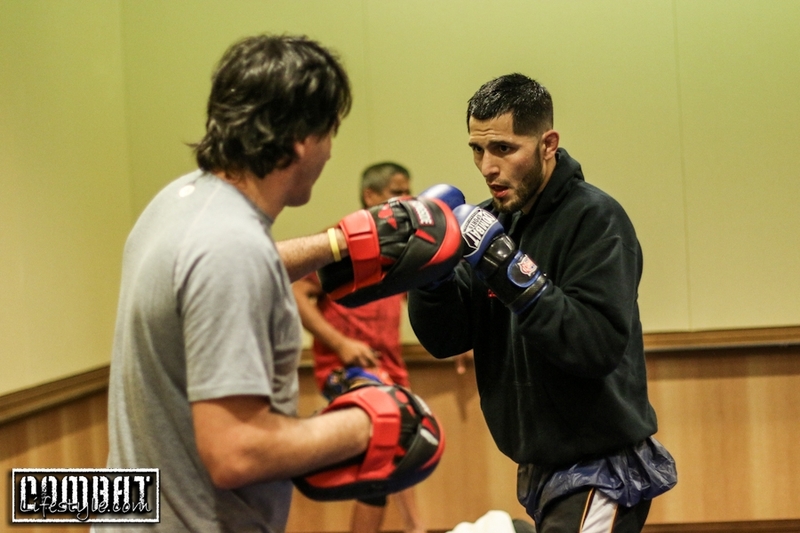 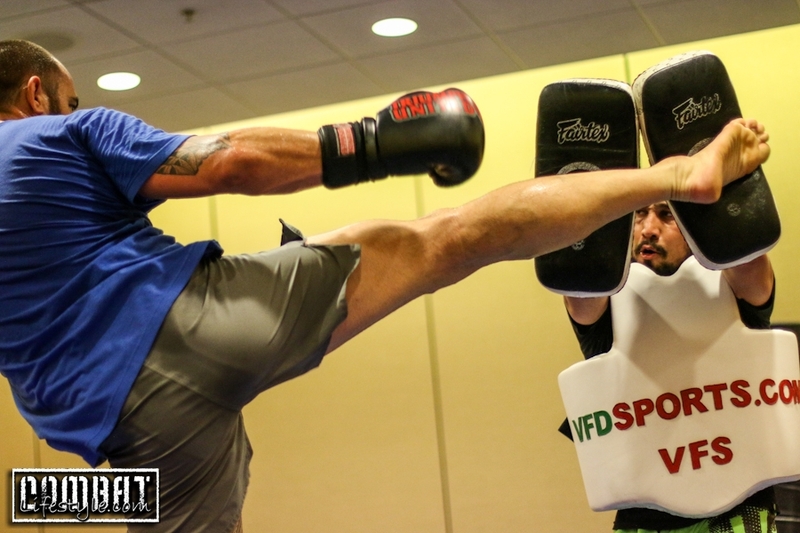 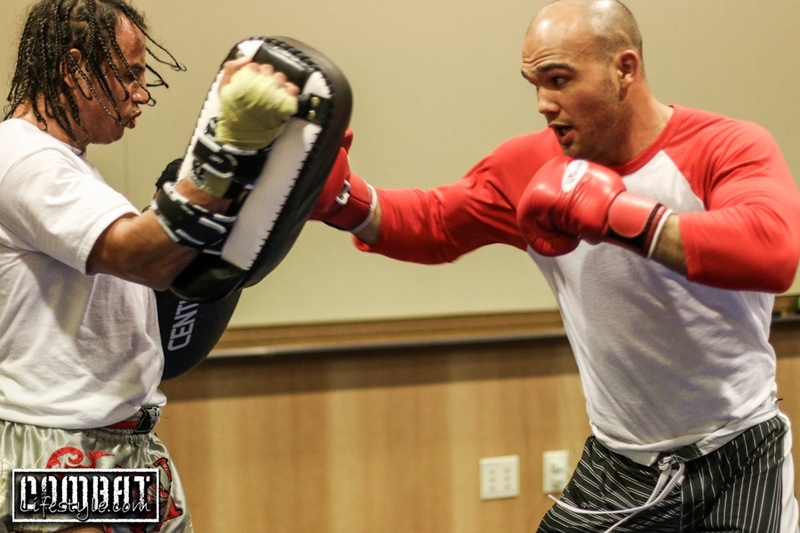 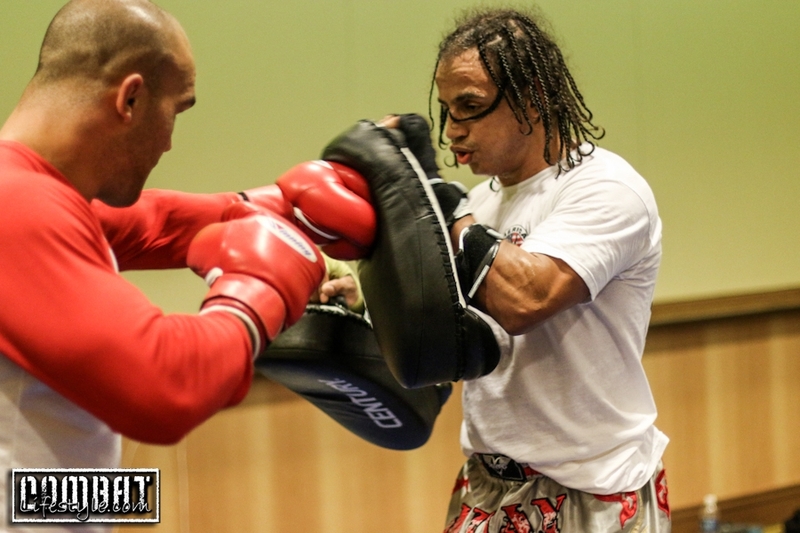 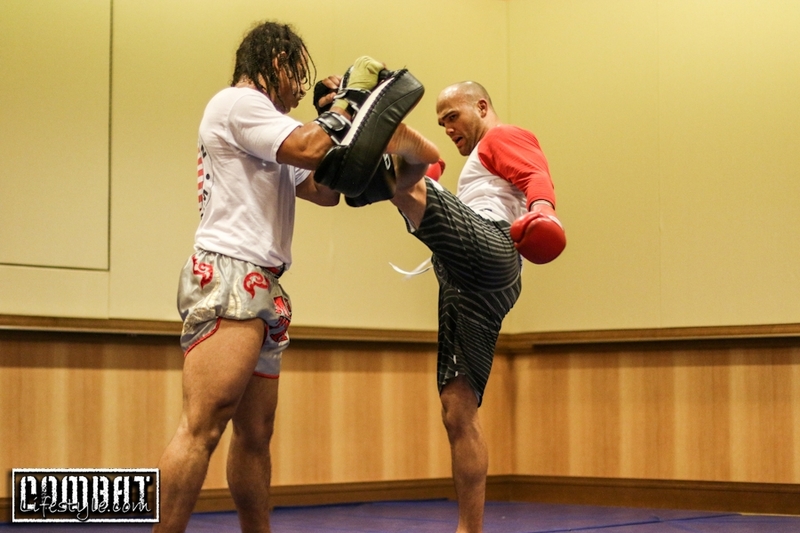 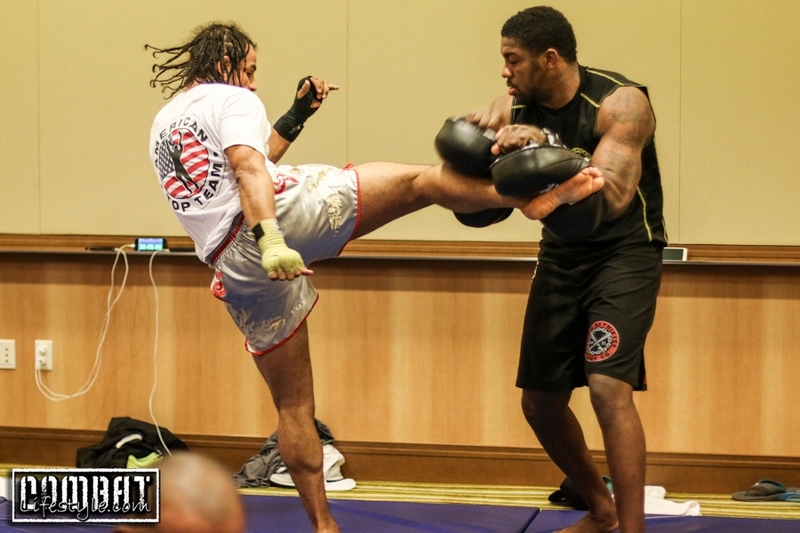 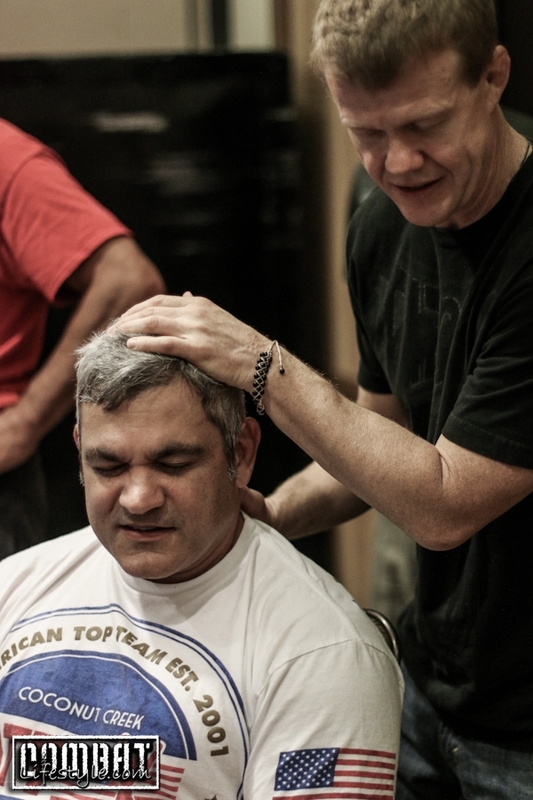 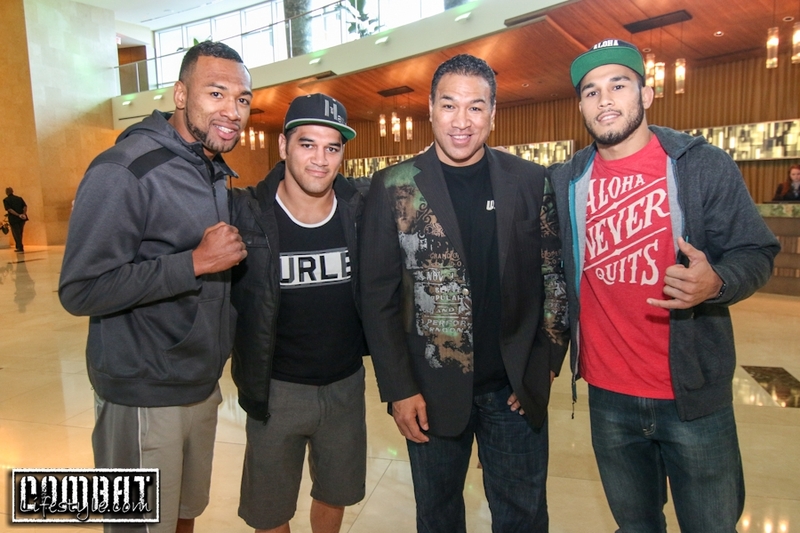 These photos are from Thursday in Orlando at the fight hotel. 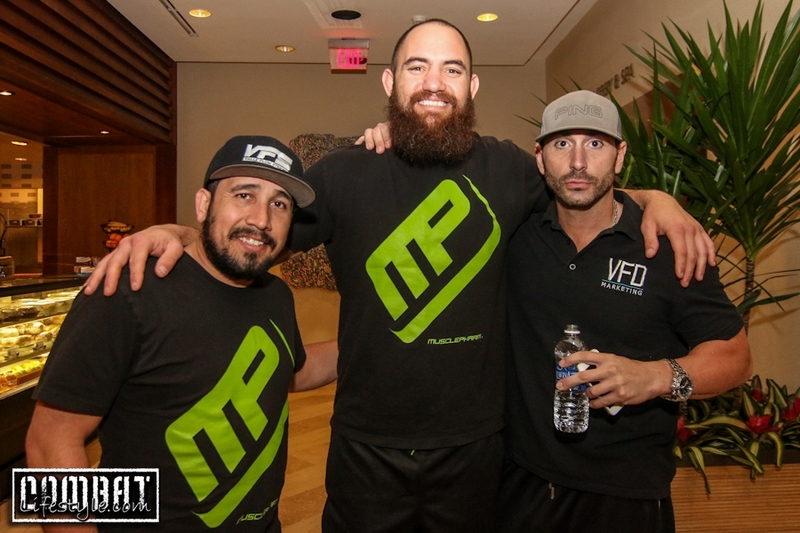 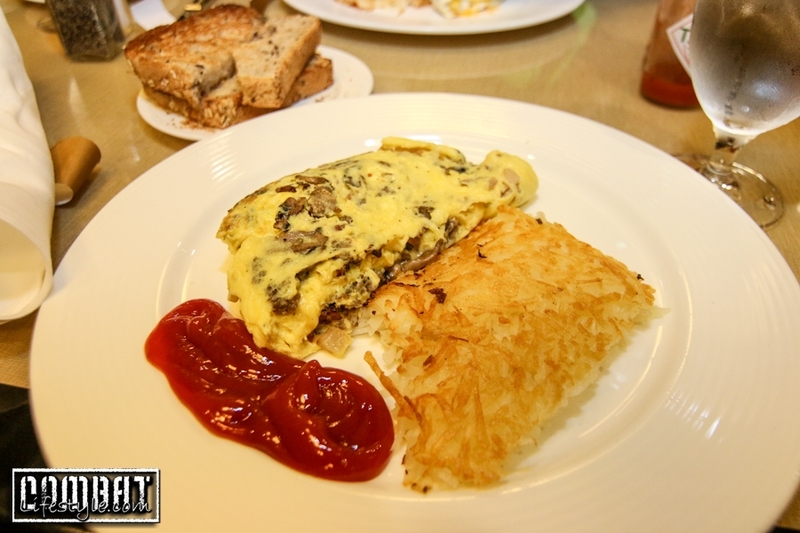 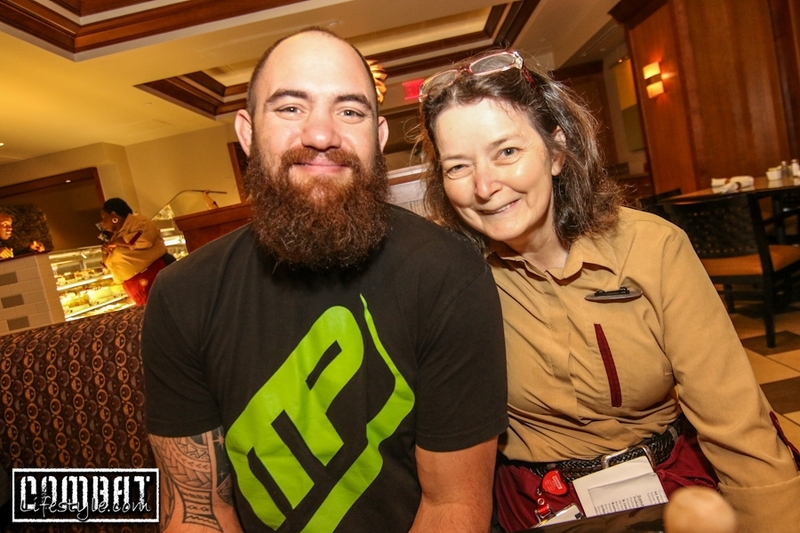 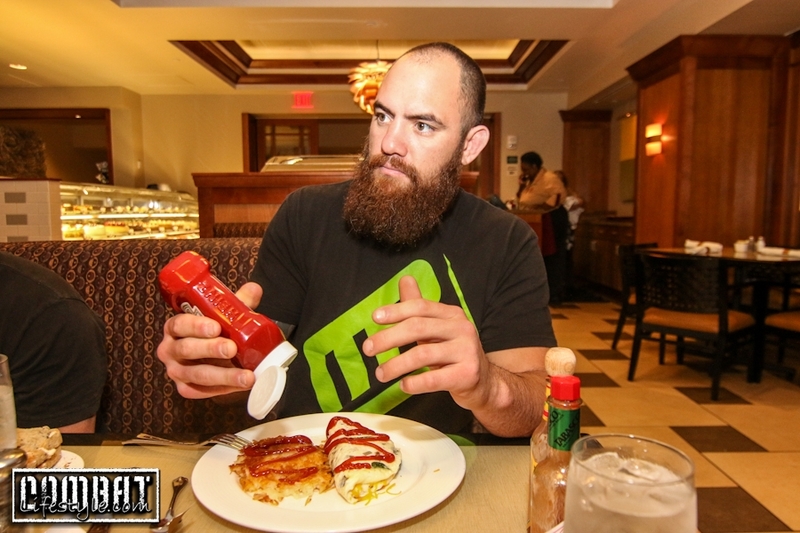 We got in early and had a chance to have breakfast with Travis Browne, John Fosco and Mike Valle. 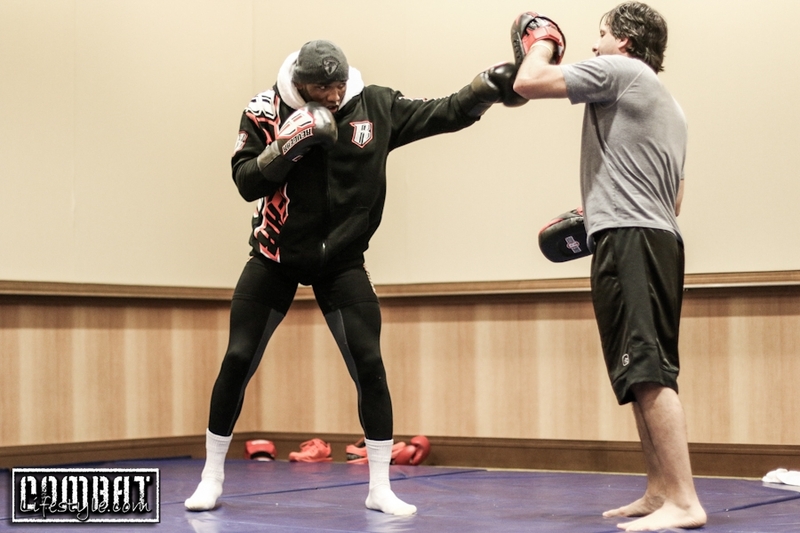 Shot around during the day and got some work done before meeting up with Team Travis again to train. 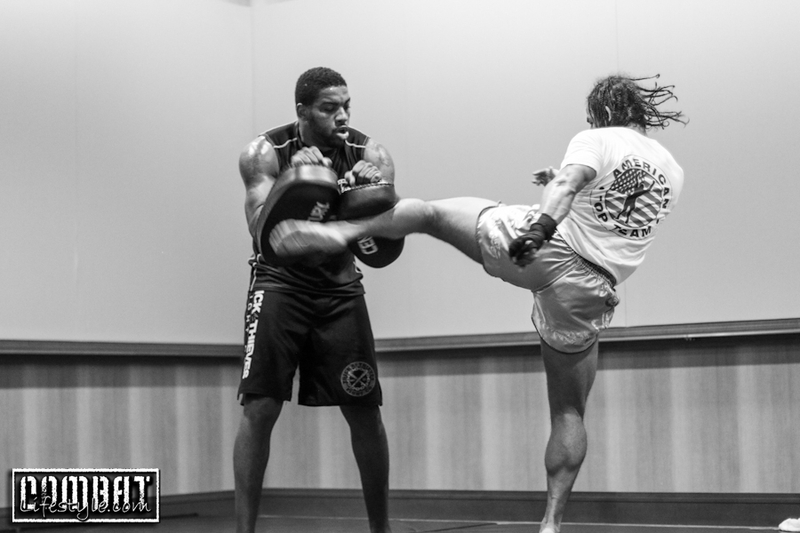 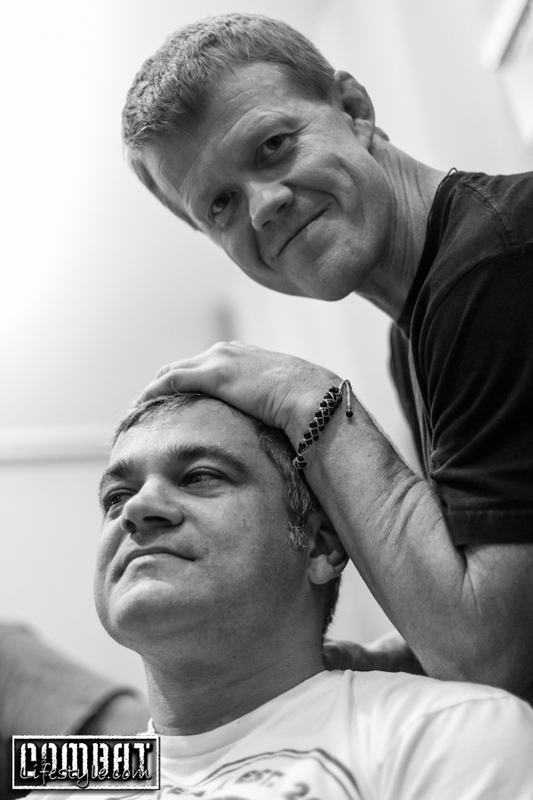 As you can see from the main photo, he hits hard enough to send a ripple into Mike’s face! 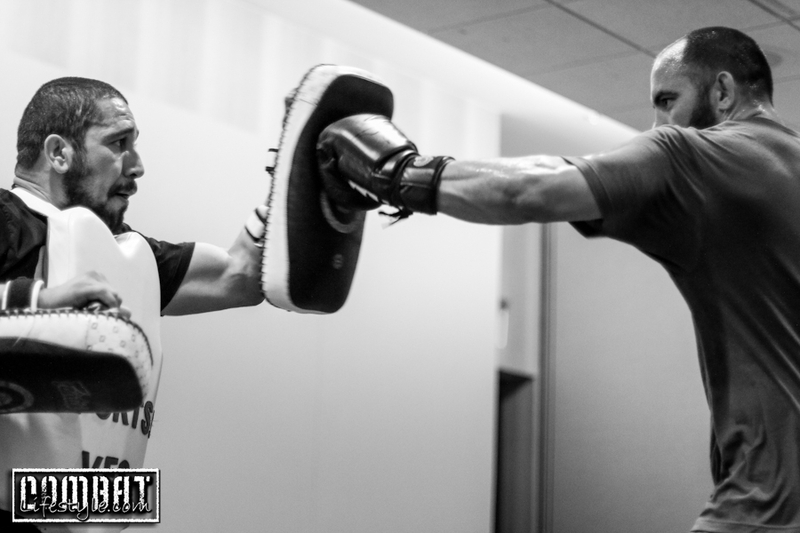 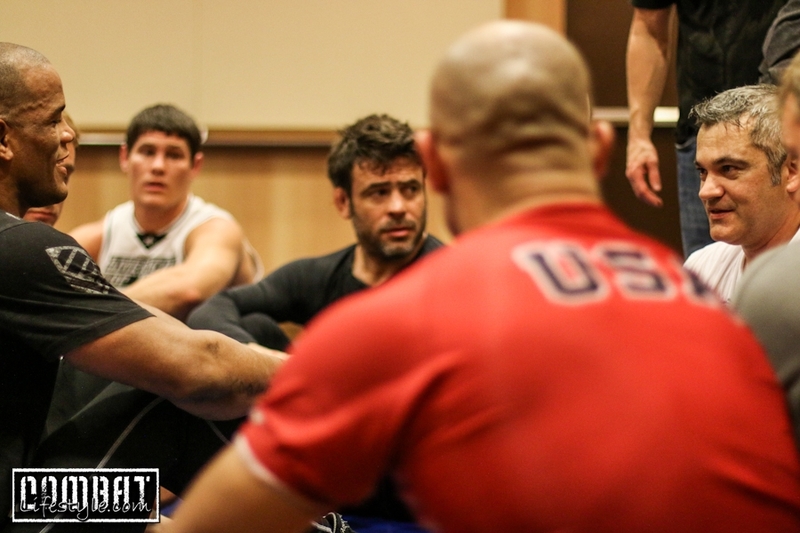 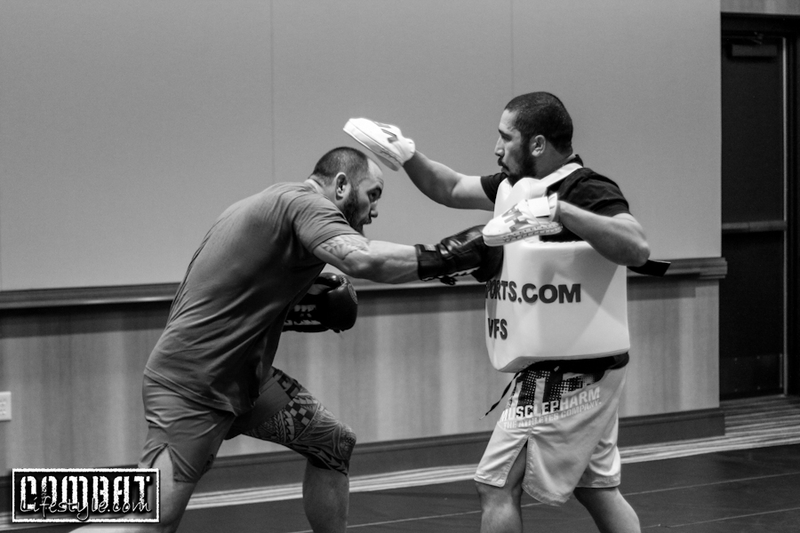 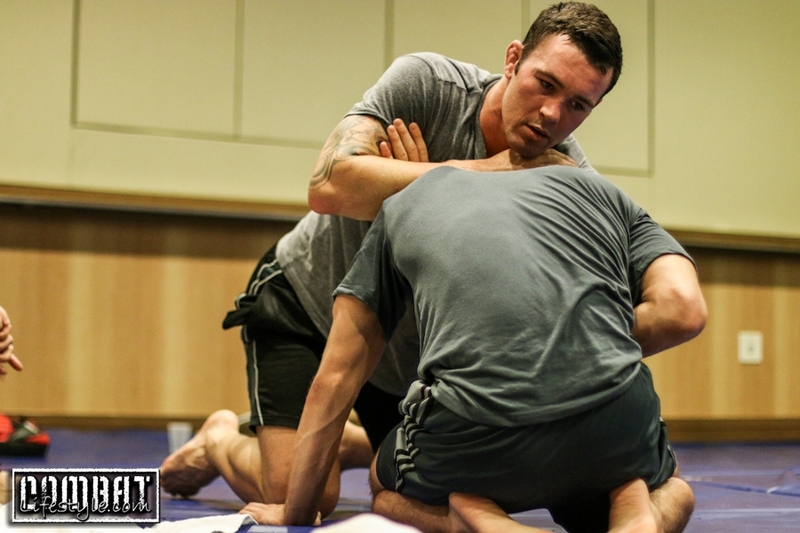 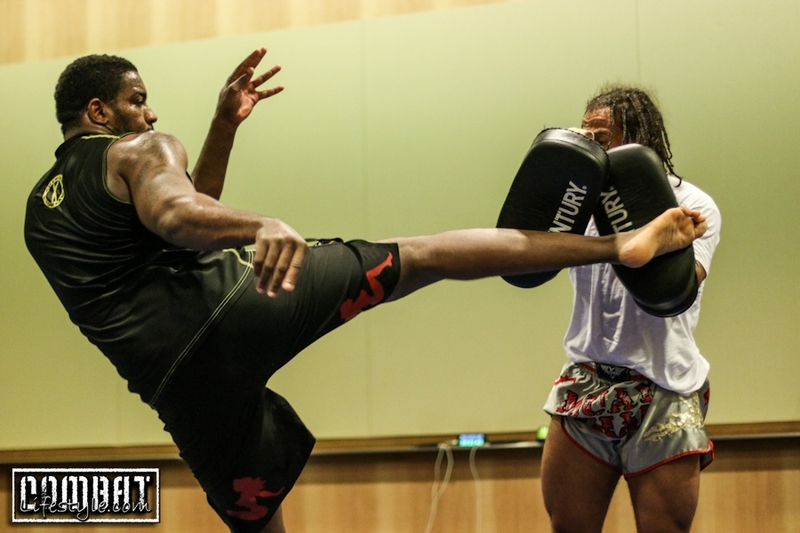 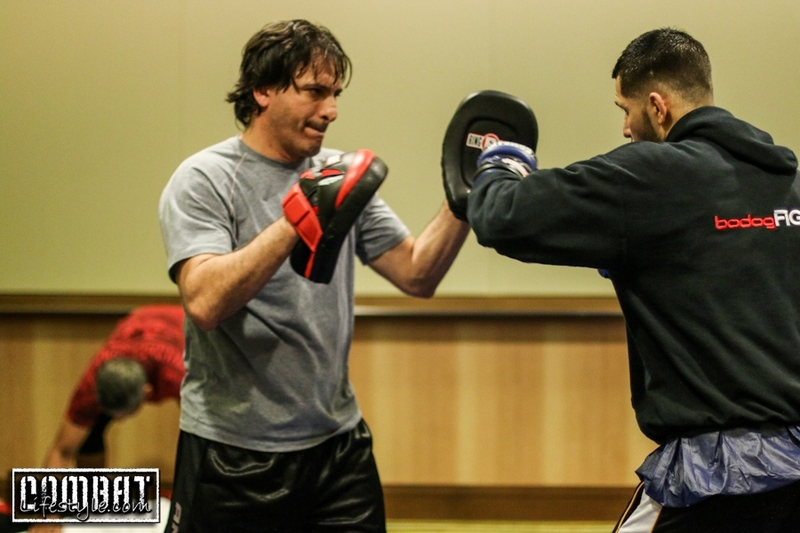 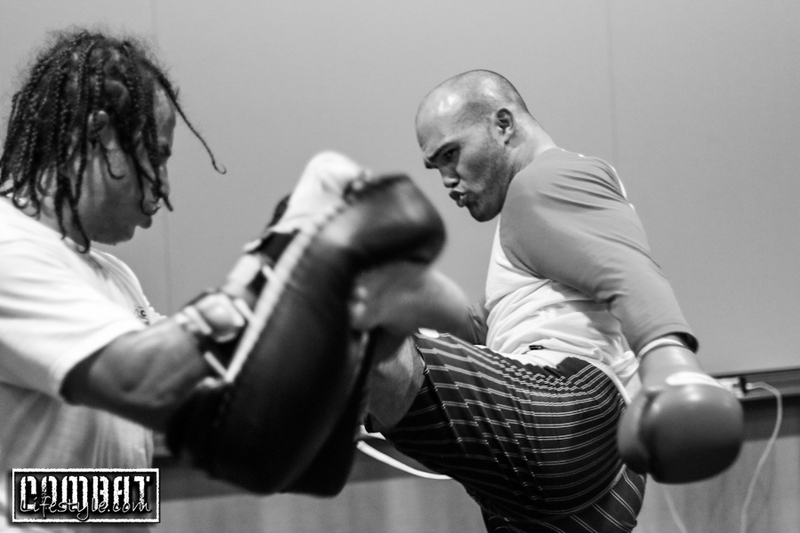 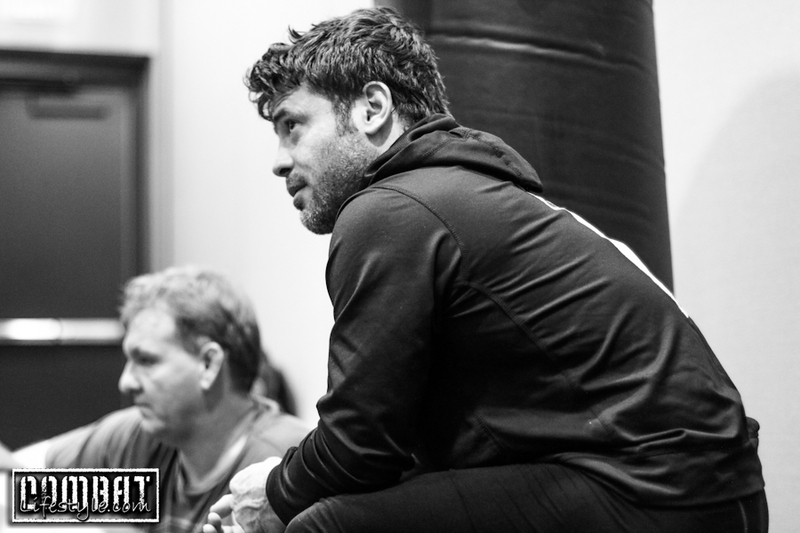 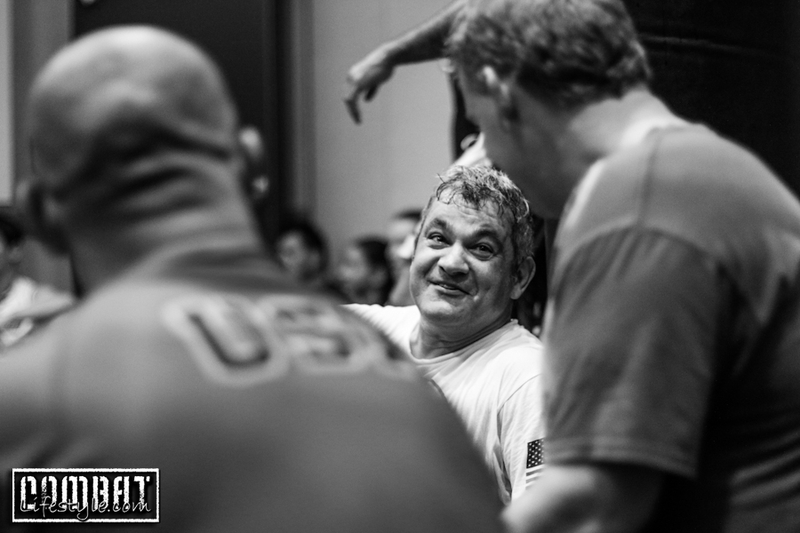 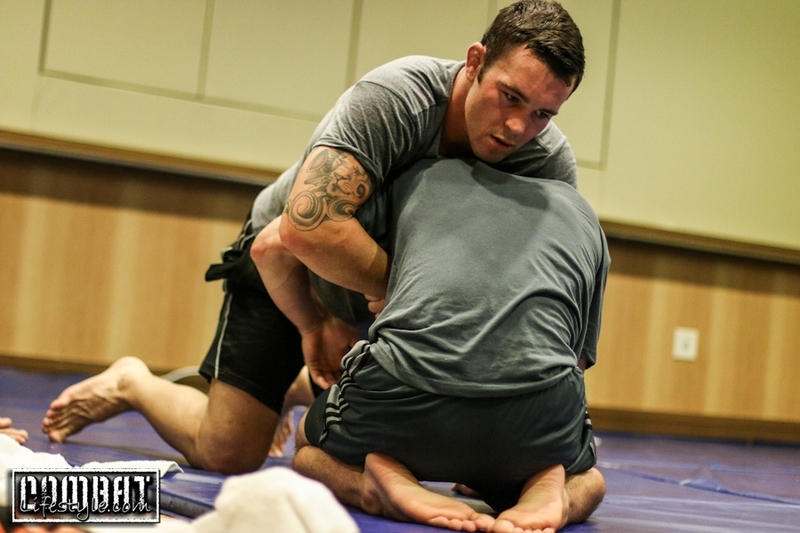 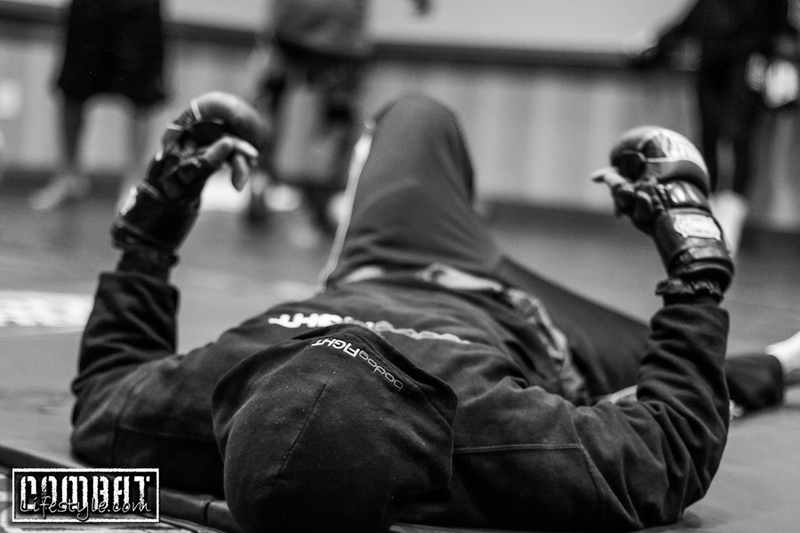 After they were done training, it was time for us to meet up with American Top Team (Who has FIVE guys on the card again like UFC 171) to shoot them training. 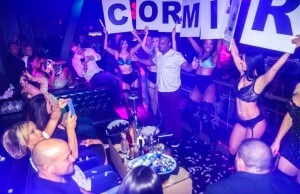 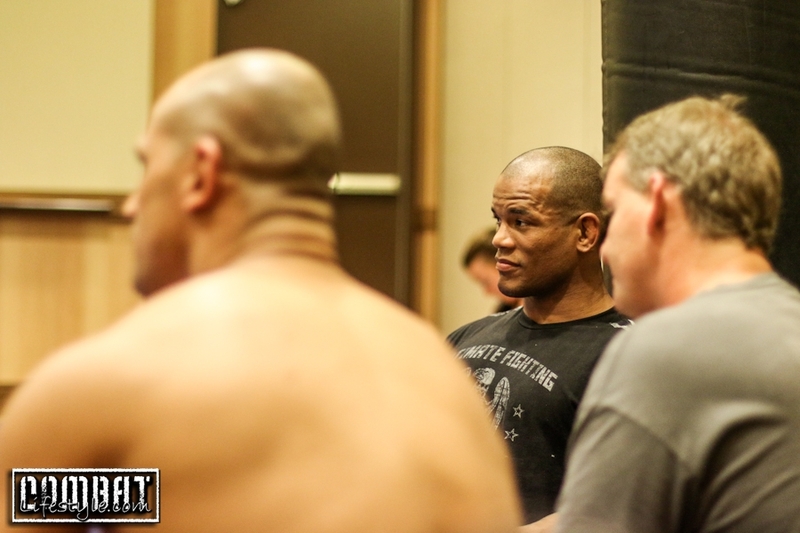 They had so many guys rolling on the mat before even any of their fighters on the card showed up; you can see from the pics was Ricardo Liborio, Hector Lombard, Parrumpinha, and more! 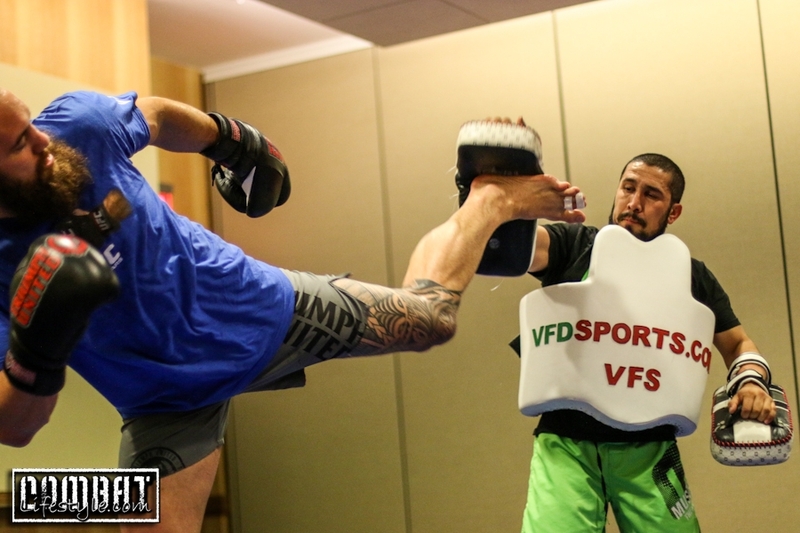 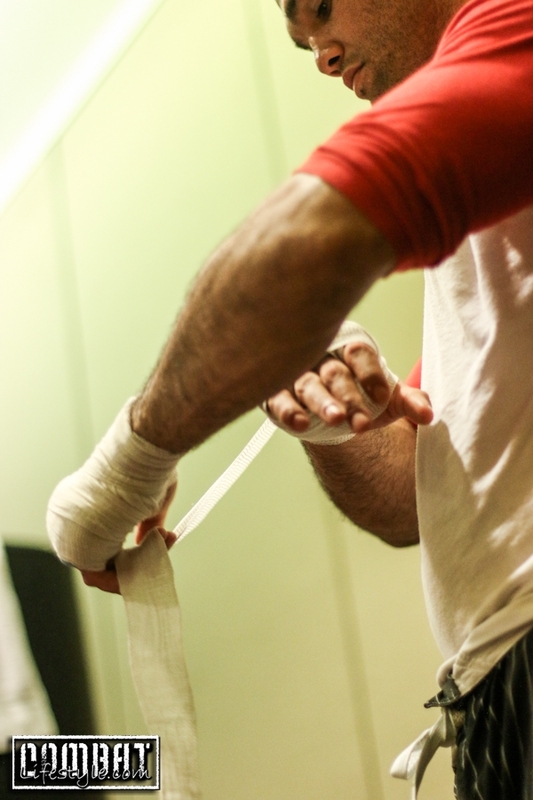 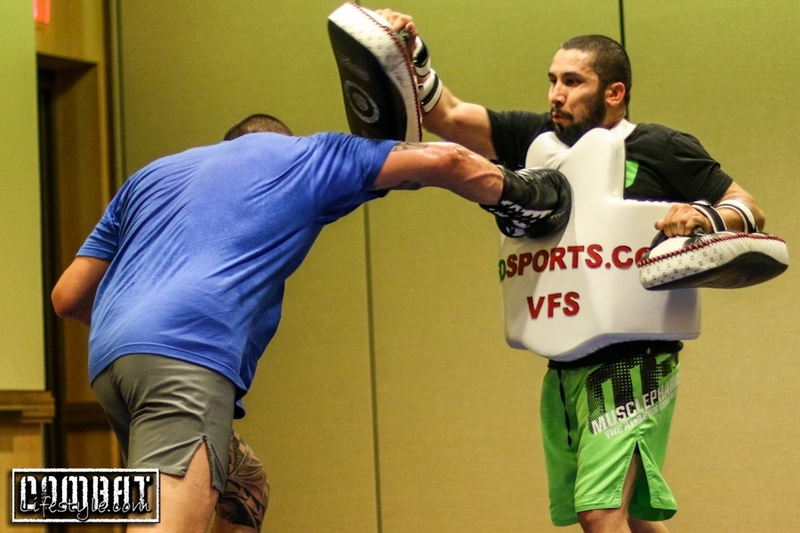 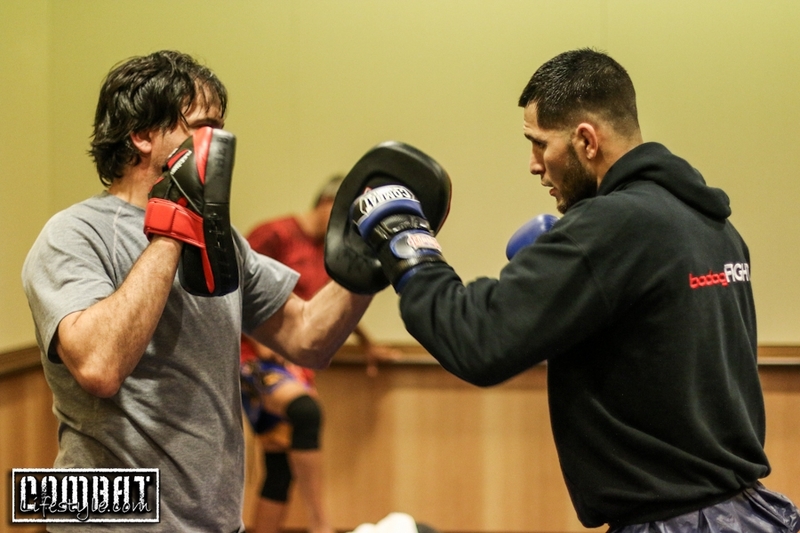 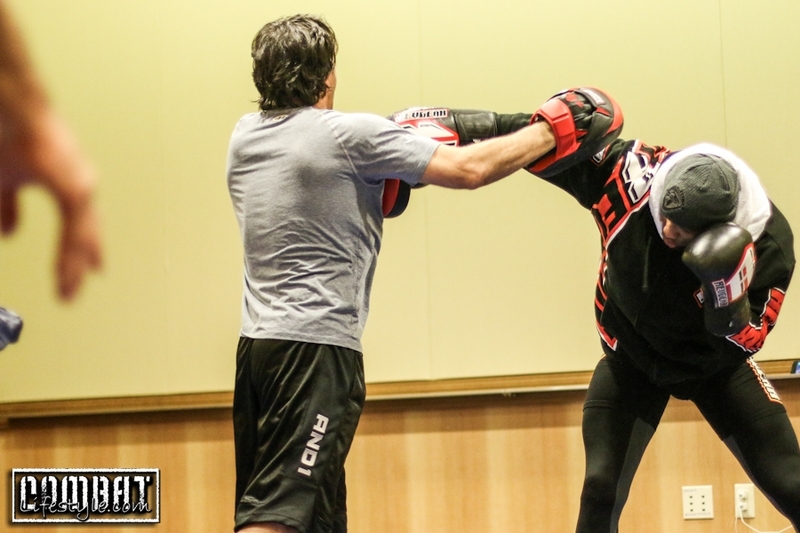 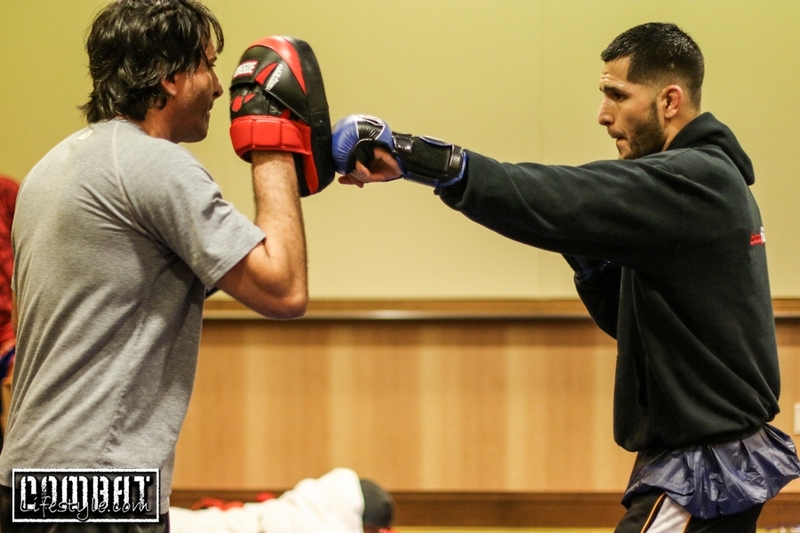 Then Jorge Masvidal, Yoel Romero, Robbie Lawler and a couple of the other guys got some time on the pads.. 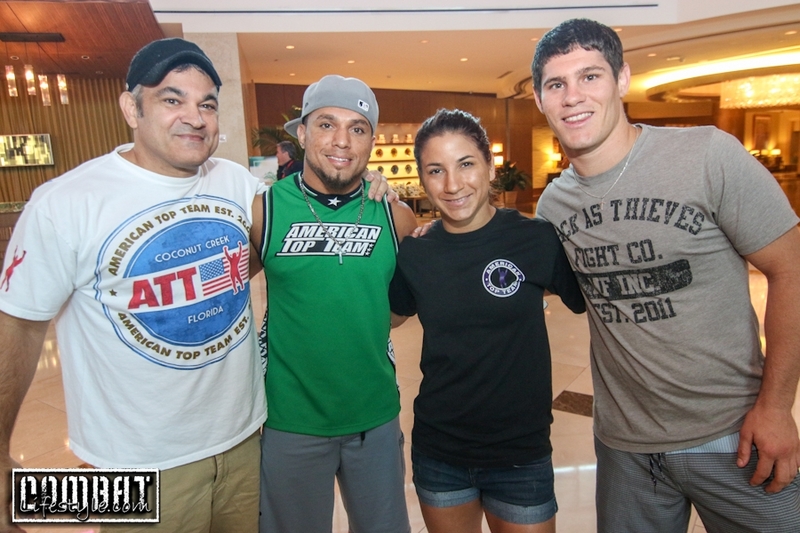 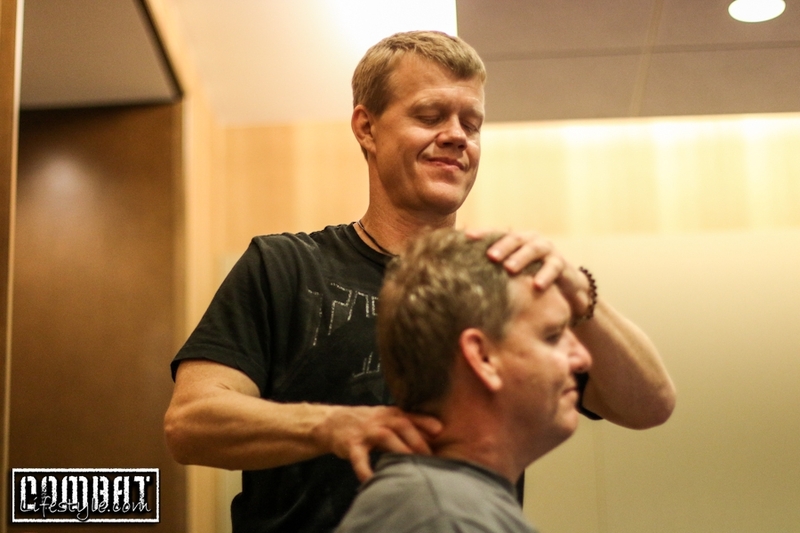 Check out all the familiar faces from ATT in the pics!